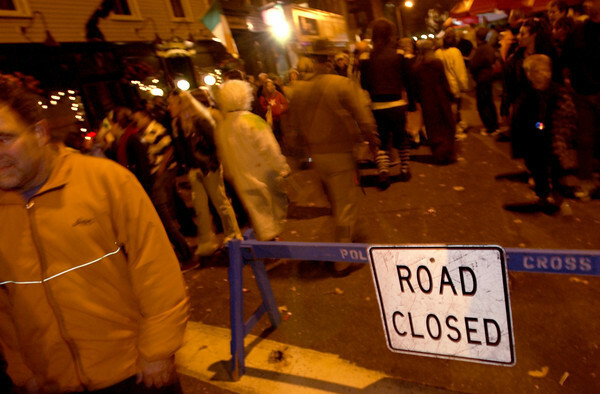 Salem: Large crowds filled downtown Salem last night, particularly on Essex Street and the Essex Street Pedestrian Mall, where thousands came to take part in the Halloween festivities. (Photo by Michael Ivins/Salem News). Friday, October 31, 2003 (NOTE: THIS IS A DIGITAL CAMERA IMAGE).